This fall, create, connect, and explore in the Friday Center’s Daytime Enrichment Courses. Discover a new interest or re-engage in an old one, deepen your appreciation of the arts, discuss favorite subjects with peers and scholars, gain new skills and try new things! Whatever your motivation, our enrichment programs are sure to stimulate your mind and reawaken your curiosity. Coming on the heels of his groundbreaking Nobel Prize in literature, by becoming the first musician to win the literature category, we celebrate Bob Dylan’s storied musical career. Since his 1961 start in Greenwich Village, Bob Dylan has written over 500 songs and has gone through so many phases and transitions that seven different actors played him in the 2007 movie, I’m Not There. Mr. Dylan has released 37 studio albums, 12 albums in the bootleg series, and 11 live albums, poems, several books, and is, at 75 years old, still touring all over the world. In additional to his recent Nobel Prize in literature, Dylan has won countless Grammy Awards, Golden Globe Awards, and an Oscar, while receiving honorary degrees, the Presidential Medal of Freedom, the Pulitzer Prize, and the Polar Music Prize. 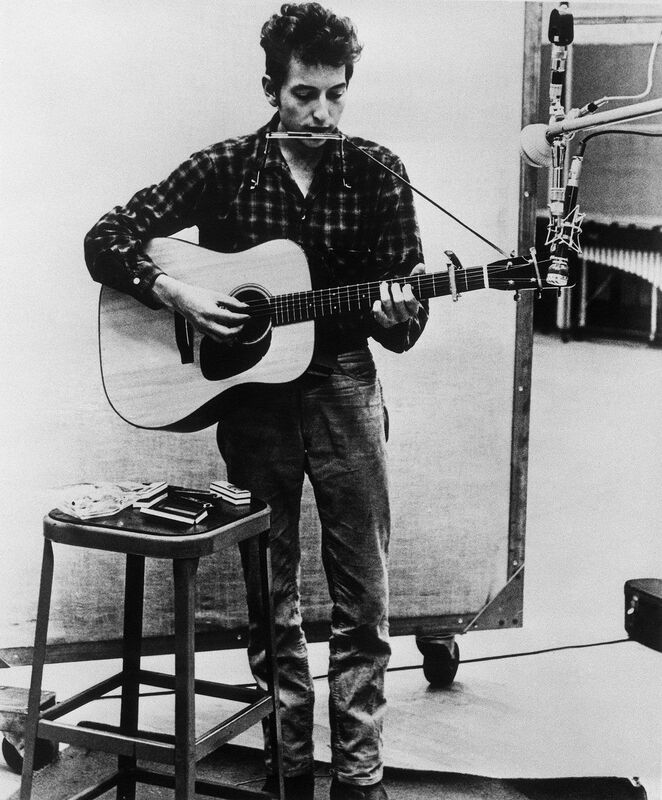 We celebrate Bob Dylan’s 75th through songs (and singing along!) combined with brief academic notes from all phases: folk, protest, introspection, rock and roll, country, mid-life changes, Christian, post-Christian, and ongoing search for wisdom and meaning. The Bob Dylan Regulars will perform: Peter White (UNC Biology), Marc Alperin (UNC Marine Sciences), Howard Lander (UNC Renaissance Computing Institute), George Michaels (Musician, Raleigh), David McKnight (North Carolina Writer and Musician, Durham), Marie Vanderbeck (Vocalist and Musician, Orange County), and other special guests . . . though Mr. Dylan himself is unlikely and will appear in spirit only. About the Instructor: Peter White is an ecologist and a Professor in the Department of Biology at UNC – Chapel Hill. He has been known to quote Bob Dylan in his lectures and posts Dylan quotes for studying, exams, and graduation on his class website. He plays music with friends in the Triangle Folk Jam every Monday night.